Aeroforce is Zone3's flagship range of tri suits and was described by 220 magazine as being "World Class" in 2013. These suits are pushing the boundaries in sports technology. Fast, stylish, structured and comfortable. You really could not ask for any more from a Tri suit. Not only will you look unstoppable in these suits, but they can really help your performance in the swim, bike and run to get you across that line in the quickest time possible! 1. Made from 100% Aeroforce fabric which is extremely light, durable, breathable and quick drying. It also features a high-tech water repellent coating for drag resistance both in and out of the water. Dunk this suit into the water and it will come out almost completely dry! It is one of the most expensive performance fabrics on the market, but once you have tried it you will understand why. 3. Sleek-cut panel design for a second-skin fit and streamlined dynamics. 4. High quality Italian pad - A made to measure race-specific triathlon pad. Not too big and not too small. 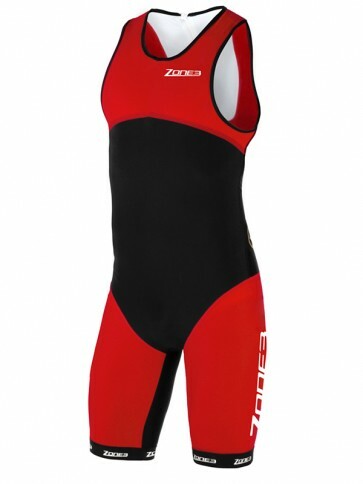 Minimising water absorption and providing vital protection during the cycling phase, without impeding your swim or run. Also, new fine-line stitching to further reduce any irritation. 5. Total Zip protection - Nobody has put as much care into the inner suit protection as us. The full perimeter of the zip has been stitched with a soft fabric to prevent any sharp edges rubbing against your skin. After testing all zipper protectors we felt that an inside patch, as used by many pros, offers the best comfort and performance. 6. Silicone leg grippers –An ultra soft 4.5cm silicone leg gripper is used on the end of each leg. This is the same style which many pro cycling teams were using last season. Designed to minimise irritation and provide extra support. 7. Flat locked stitching - For maximum strength and minimum discomfort against the skin. 8. No pockets – Made without pockets on the back because we don’t want to slow you down! Most athletes racing Sprint or Olympic distance would choose to tape their energy bars on to their bike frame. 9. Tried, tested and worn by a number of ITU World Cup Pro athletes! If you’re looking to get the most out of your performance, make new Personal Bests and achieve higher finishing positions, then this racing suit is a must.